Grocery shoppers may notice how much they take back home with them and how quickly they produce waste from food product packaging. 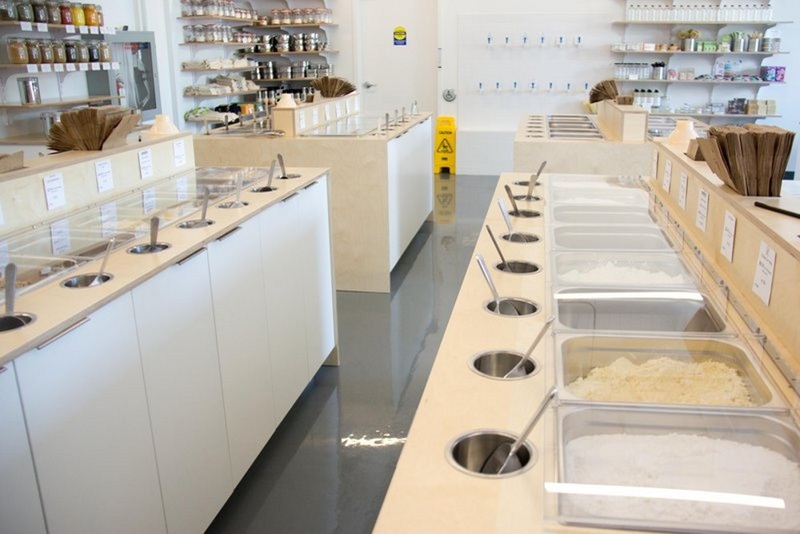 Nu Grocery in Ottawa, Canada wants to change this habit by prompting customers to bring their own reusable containers to package their food in the store. In doing so, Nu Grocery fosters a zero-waste community, creating a sustainable cycle of visiting a grocery store and limiting what gets thrown into a landfill. The store was founded by Valérie Leloup. Leloup was someone who had to go to five different grocery stores to grab everything she needed for the week, as she was focused on going to locations that provided access to bulk volumes of their food products. This practice was adding another layer of waste, so she wanted to create a single-stop location where she could find everything. With the help of friends and family, Leloup was able to open up Nu Grocery using models of other zero-waste grocery stores operating in Europe. The Nu Grocery system works like this: customers come in with their own containers, grab what they need, weigh it and then pay for what they want to take home. Should a customer arrive without their own container, Nu Grocery provides compostable paper bags and sells their own brand of reusable containers. Many of the products Leloup offers at her store were grown organically or by local farmers. For customers who can’t make it to the store, Nu Grocery offers an online shopping program. To package the food properly, the store still uses tape, labels and fillers to protect the items; however, when the products arrive at a customer’s door all of these items can be put right into a recycling unit. The store is open from 8 am to 8 pm every day of the week. Ottawa residents and visitors can find it at 1130 Wellington Street West.